Helios Digital Learning uses first-person storytelling, gamification and adaptive learning to help business professionals and students improve their ethical decision making. Our approach enables learners to virtually simulate their ethical responses through immersion in real life stories and exercise their ethical decision making muscle with immediate feedback through games. Here you can browse and purchase available video-enhanced e-cases and e-casebooks, online courses and documentaries. Looking for the new Pearson Helios Bundles? Click here. 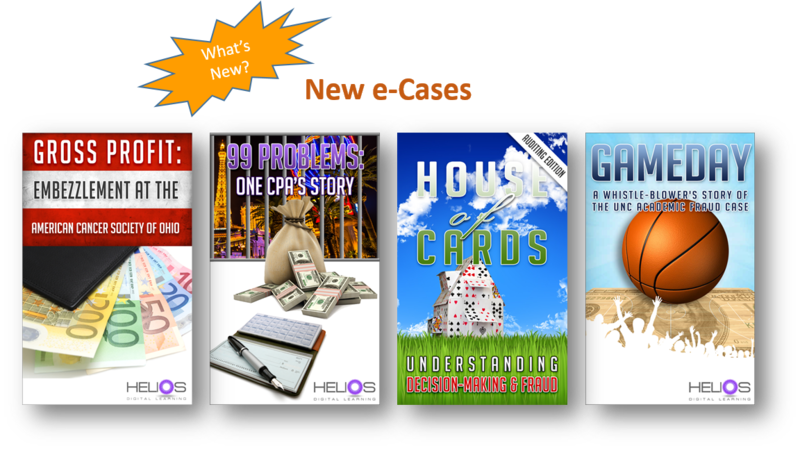 Helios Digital delivers engaging first-person stories as told by white collar felons, whistleblowers, law enforcement professionals and business experts covering fraud and ethical lapses ranging from breaches of corporate internal controls to public corruption. We use stories and games not only because they are engaging for learners but also because they are scientifically proven methods of influencing behavior change. Storytelling engages both sides of the brain and enables individuals to virtually simulate the situations described in the stories they are hearing. Games enable individuals to engage their decision making processes to navigate a scenario with immediate feedback which reinforces desired behaviors. This virtual simulation and engagement increases the likelihood that learners will integrate the lessons they learn and put them to use when confronted with their own ethical dilemmas.